Vanilla Flavoured lip balm nourishes, moisturises and protects your lips from daily damage. 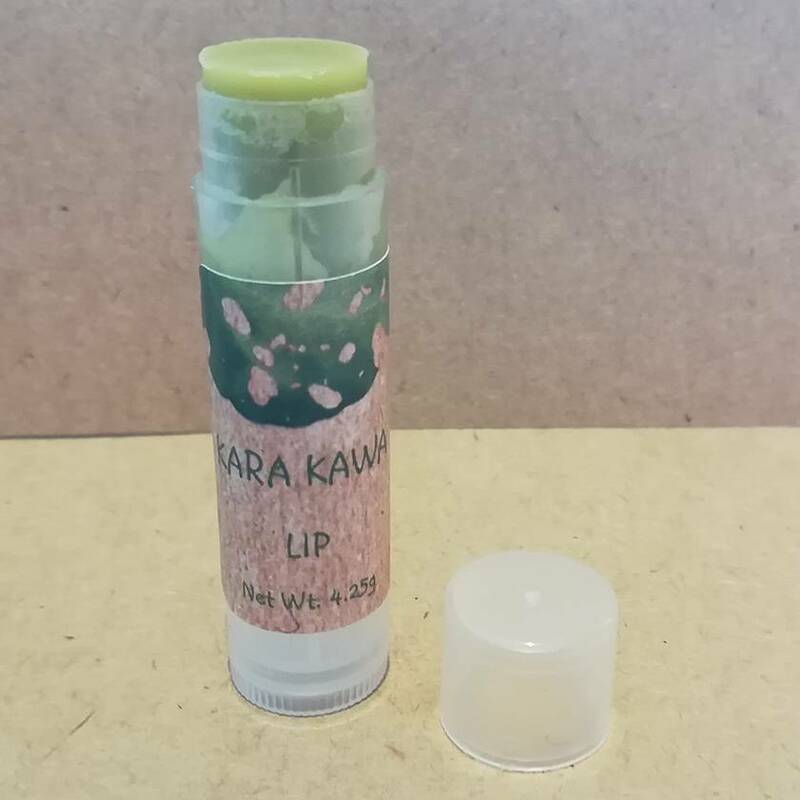 Kara Kawa Lip Balm nourishes, moisturises and protects your lips from daily damage. Great for all types of lip ailments including; sunburn, windburn, cold sores, chapped and dry lips. This product is a delicious combination of natural Kawakawa, Shea Butter, Beeswax, Coconut Oil, Jojoba Oil, and Olive Oil, with a light vanilla flavour. This Lip Balm is naturally rich in Vitamins A, D, E, and F, as well as fatty acids, and more. Lip Balm Net Weight 4.5g. Clear recyclable lip balm tube. Apply a small amount of Lip Balm 2-3 times a day or as needed. 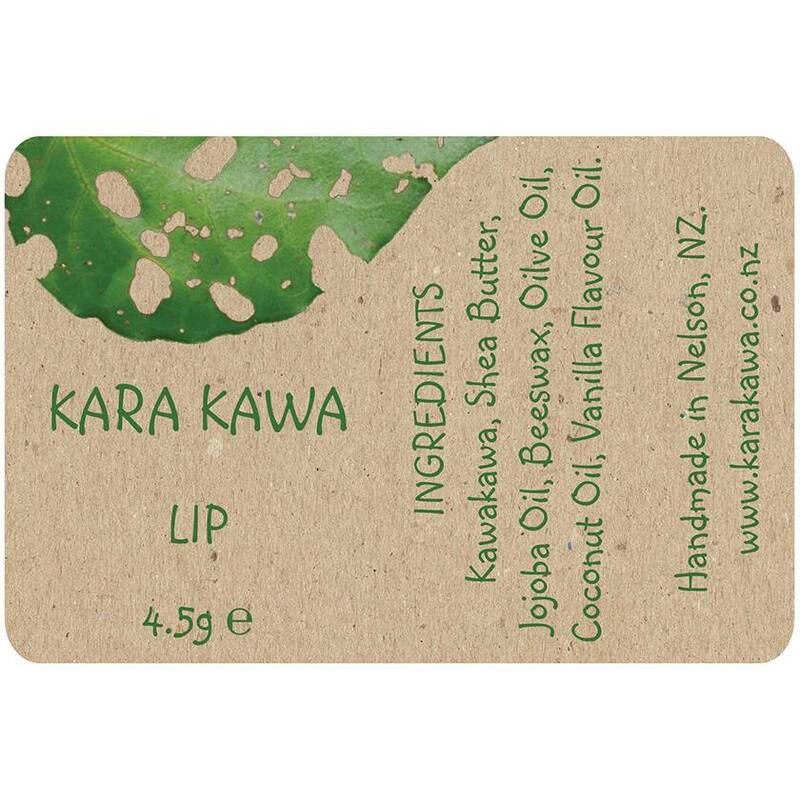 Ingredients: Native New Zealand Kawakawa Leaves picked in the Marlborough Sounds, Organic Naturally Refined Shea Butter, Cold Pressed Naturally Refined Coconut Oil, Pure Unrefined New Zealand Beeswax, Cold Pressed Unrefined Jojoba Oil, Cold Pressed Extra Virgin Olive Oil, Organic Vanilla Lip Balm Flavour Oil. 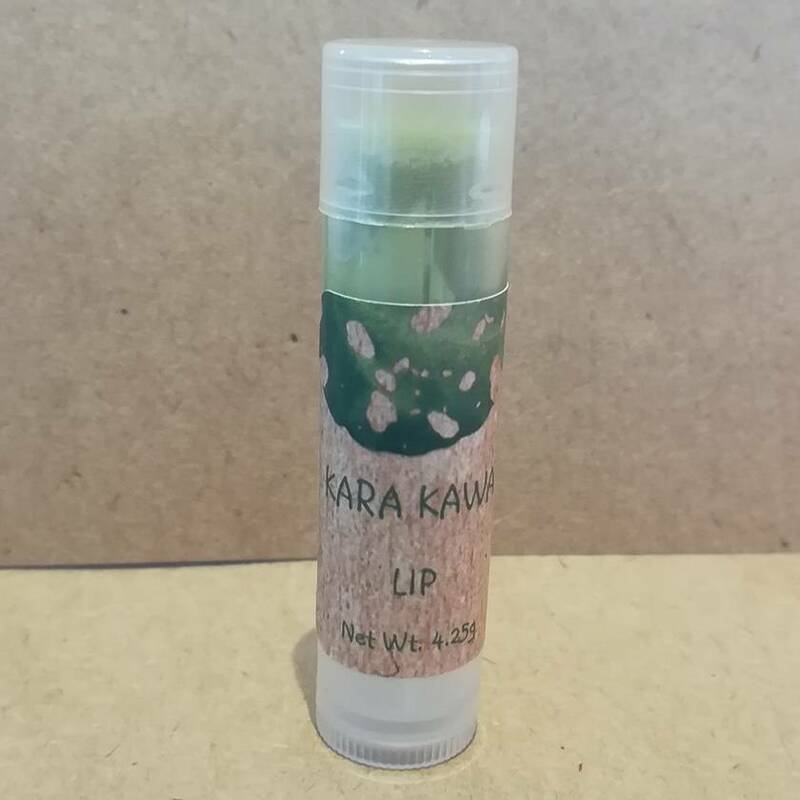 There are no warnings for Kara Kawa Lip Balm. Do not share your Lip Balm, and always use clean hands to avoid cross contamination.